Expect quality work, time after time from Norwood Door Systems. Family owned and operated since 1985, we promise our technicians will exceed your expectations. Call us today at 508-668-9393 for all of your garage door needs. At Norwood Door Systems, we offer 24 hour emergency service you can count on. If your garage door isn’t working, please call us at 508-668-9393 or complete our online service form. We serve the Greater Boston area, including Norwood, Walpole, Medfield, Westwood,Sharon, Canton and more. As one of the country’s oldest cities, you can feel Boston’s history as you stroll through its neighborhoods. From Georgian to Victorian to Mid-Century Modern, we have a garage door that coordinates perfectly with every architectural style. Visit our image gallery to discover hundreds of choices. 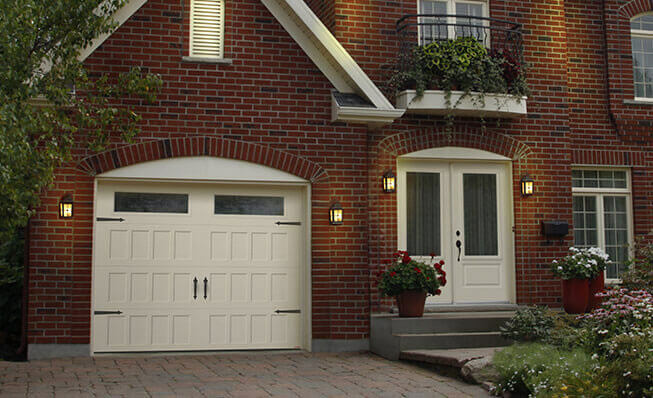 At Norwood Door Systems, garage door installation, maintenance and service are our specialty. We carry replacement parts for repairs and decorative accessories to add charm. We service all garage doors in Boston for broken springs, replacement panel, garage door openers parts, etc. A door opener is a convenient addition to your garage door system. For reliable performance and great accessories, choose a LiftMaster product. We have a solution for your residential, commercial and industrial garage door openers needs. Snowy winters, rainy springs, humid summers… Boston sees it all. To keep your home comfortable all year round, we recommend an insulated Garaga garage door. The Standard + and the Cambridge garage door models provide an R-16 thermal resistance. You’ll love the energy efficiency. Design it your way in our design center.